If you or a loved one suffers spinal injury through the negligence or recklessness of someone else, you face a changed future. But you don’t have to face it alone. Our experienced personal injury lawyers at Gilleon Law Firm fully understand the complications associated with spine and back injury, disc injuries and other neurological injury. We know that understanding what lies ahead is important when considering legal action. To that end, we’ve provided answers to the most frequently asked questions we receive in our spinal injury cases. For more in-depth information from one of our personal injury lawyers, contact us for a free consultation. Is there a time limit for filing a spine injury lawsuit in San Diego? 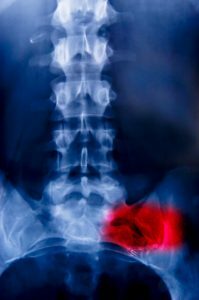 Do I have to worry about proving negligence for a spine injury? What do I need to know about getting proper compensation for a spine injury? Is there a cure yet for spine injury? Will a lawsuit take a long time? With more than 50 years of combined experience in San Diego, the attorneys with Gilleon Law Firm offer matchless legal representation to clients seriously injured by the negligence of others. With offices in downtown San Diego, we are easily accessible by train, car or telephone. When you are injured and need help and answers, call us at 619.702.8623 or contact us to set up a free initial consultation. Valuable evidence disappears quickly and memory fades. It is essential to preserve physical evidence and witness statements right away. Serious injury requires legal assistance from the time of injury until the conclusion of your case. It is never too soon to start building a strong legal and medical foundation for your legal claim. If injured by an institutional defendant, like a city worker, the statute of limitations may be shorter. Do not hesitate to contact us after suffering a serious injury. The most important step you can take to ensure you receive appropriate compensation for a spine, brain or other serious injury is retaining the right firm to handle your case. No law firm can guarantee a legal outcome, but an experienced, aggressive personal injury firm with a successful track record like The Gilleon Law Firm is more likely to provide the results you need. The hard answer is no, there is not yet a cure for spinal cord injury. True recovery from spinal injuries may be slow or nonexistent. Stem cell research may one day point to a cure, but in the meantime, research continues into rehabilitative and medical options to assist with symptoms and improve the quality of life of those who suffer SCI. No two serious injuries are alike, and lawsuits for serious injuries often take time. Settling a severe injury case before the real extent of your injury is known is a mistake that can cost you substantial financial security. Though spinal injury matters are notoriously complicated, our firm meticulously prepares each case for the courtroom. As aggressive, winning litigators, our reputation for being well prepared in the courtroom often provides us an advantage during settlement talks.